The beach! 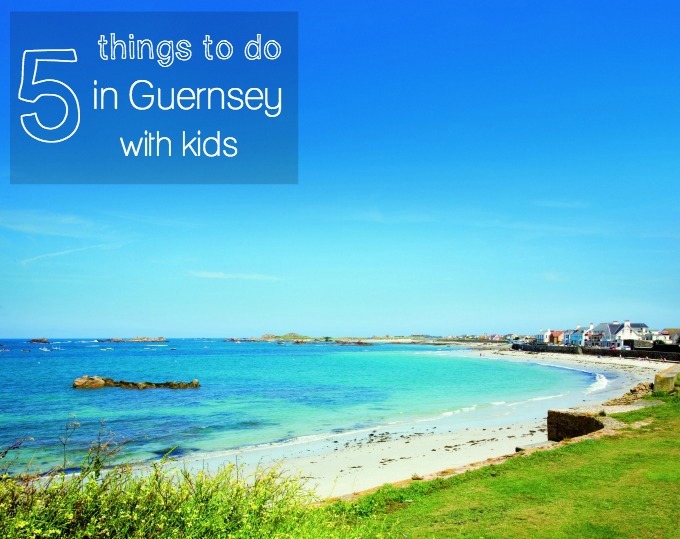 Guernsey has 27 beaches, and every one is different. There are long, sandy stretches for hanging out with the family, little rocky coves perfect for exploring rock pools and the creatures that hide there, and great beaches for surf. Try a different beach every day, they’re only ever 10 minutes away! 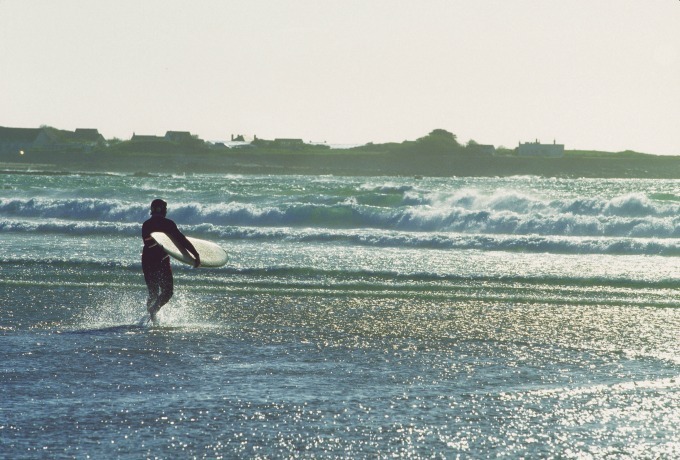 Best for surfing and body boarding: Vazon on the west coast has the best surf, and at nearly a mile and a half in length, you won’t be jostling for space. Vazon is also the current holder of the Telegraph’s Britain’s Cleanest Beach title, so on a sunny day you won’t beat it for a great family day out. Best for rock-pooling: Port Soif, further to the north, and Petit Bot, on the south coast, both have sandy, sheltered space and excellent rock pools at low tide. Best for kite-flying: Grandes Rocques, to the north-west of the island. This is a long stretch of sandy beach, backed by dunes and a large area of headland. It gets very windy at times – so much so that our kite got tugged out of little hands and disappeared right over the wall! Grandes Rocques is a great place to go if you’re planning lunch too; the little kiosk by the car park sells fresh prawn and crab sandwiches and thick slices of the omnipresent local fruit cake, Guernsey Gâche. The Little Chapel: As a child I used to love visiting the Little Chapel. 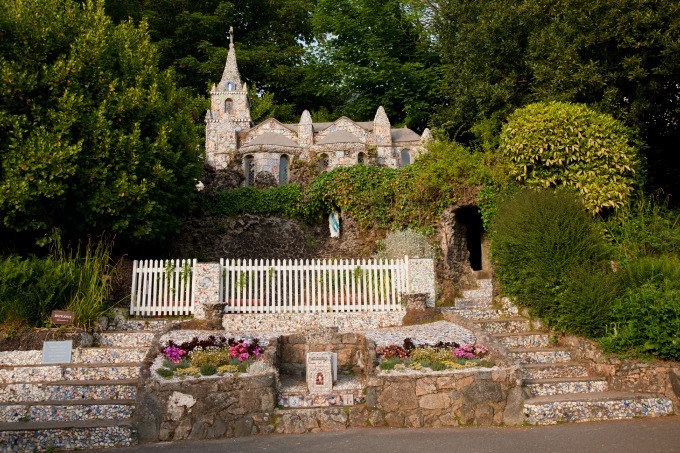 Possibly the smallest chapel in the world, it is 100 years old and was designed to be a miniature version of the famous grotto and basilica at Lourdes in France. It is decorated with seashells, pebbles and bits of broken china and you can just about get a whole family inside for a very cool photo opportunity! The Guernsey Tapestry: created for the Millenium celebrations, the 10 panels of the tapestry depict key events over 1000 years of Guernsey’s history, and were stitched entirely by the islanders themselves as they delved into the island’s past. You can find out more about the stories of each panel by visiting the Guernsey Tapestry website. 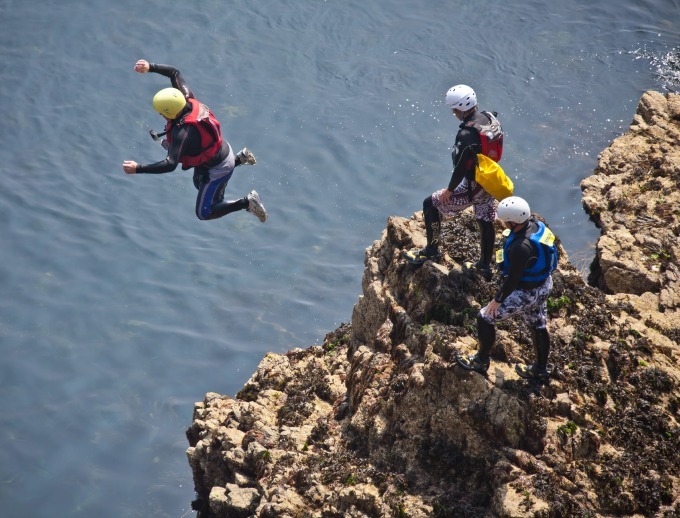 Coasteering: a hugely popular island pursuit in recent years, coasteering involves donning a wetsuit, buoyancy jacket and helmet, then scrambling over cliffs and rocks to find exhilarating jump spots. Plunging into the ocean, then swimming into caves, before doing it all over again – just what a thrill-seeking teenager needs! There are various organised groups so make sure you go with them to stay safe. 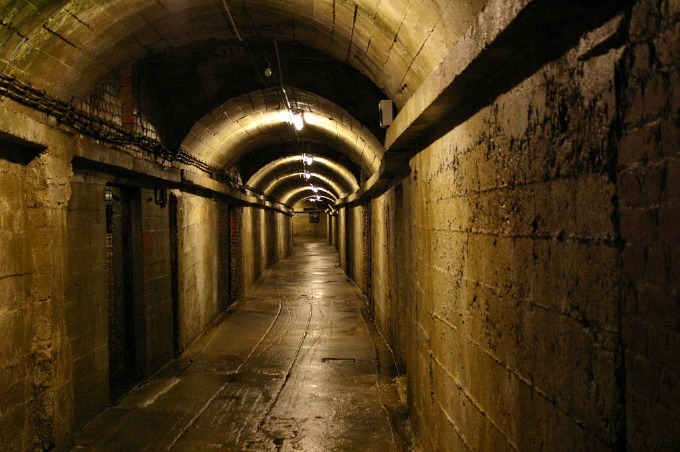 The German Military Underground Hospital: Guernsey was under German military occupation during the second world war, and the fascinating history of that time can be seen in the museum housed in the underground hospital. The German army used prisoners to hew the building directly out of the rock, using it as both hospital and munitions stores so as to be invisible from the air. It’s a spooky experience, so younger visitors might want to avoid it, but it’s bound to give a frisson to the teens in your family. 2015 is a very special year to visit Guernsey, as the Channel Islands stage the first Heritage Festival, commemorating the 70th anniversary of World War II. From 3rd April – 11th May 2015, the festival will celebrate the islands’ liberation from German forces. For the first time ever, visitors will be able to see inside the secret tunnels of 13th Century Castle Cornet, which were used as command bunkers by the German army; or for the more energetic, a cycle tour of the island will show you more evidence of the occupation – with a stop-off for cream tea and crab sandwiches! Finally, if you plan a longer stay on Guernsey, make sure to take a day trip to Alderney, Herm, or Sark, the smallest of the Channel Islands. Flights to Guernsey take less than an hour, but if you can get to Poole, the ferry will get you there with your car and all your beach paraphernalia in, and you’ll have the car to make the most of the island once you’re there. Condor’s new 102m high speed ferry launches in March, and even islanders are looking forward to the increased levels of comfort and the hope of a smoother journey. I’ll be travelling on it over the summer, so I’ll let you know how much it improves my husband’s notorious sea-sickness! Check out the Visit Guernsey website for information on the Heritage Festival, and to find more things to do in Guernsey with kids. What’s up,I check your blog named “YouTube” on a regular basis.Your story-telling style is awesome, keep it up! And you can look our website about proxy list.